secure connection and who issued the SSL certificate. for statistical and analysis purposes. 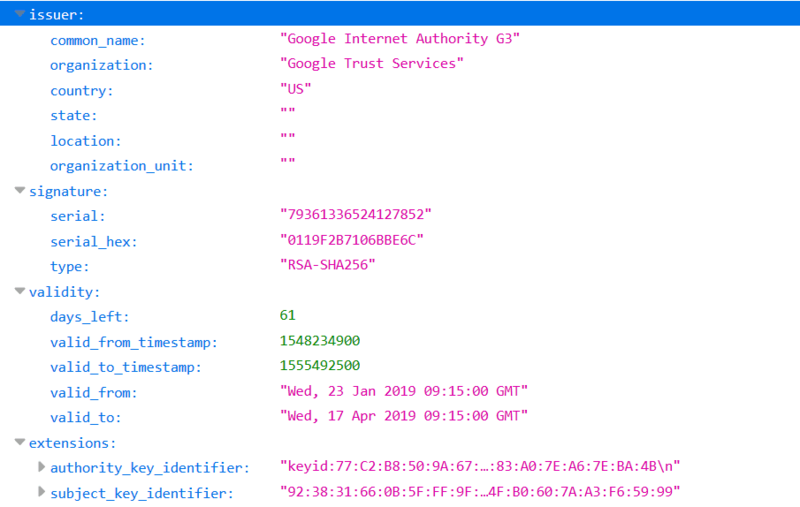 This API lets you gather SSL certificate details which include signature type, serial number, alternative names, who issued the certificate, owner details, creation and expiration date, certificate authority key identifier, subject key id, and more. 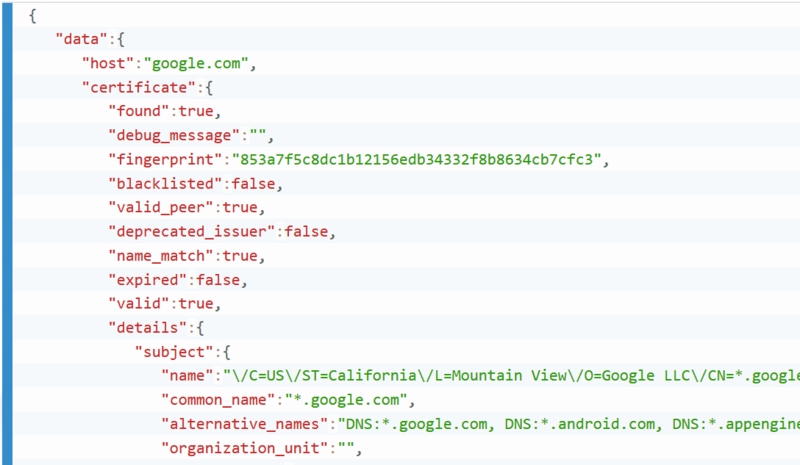 We extract the certificate fingerprint and we check it with SSL Blacklist, we check if the issuer is deprecated (i.e. 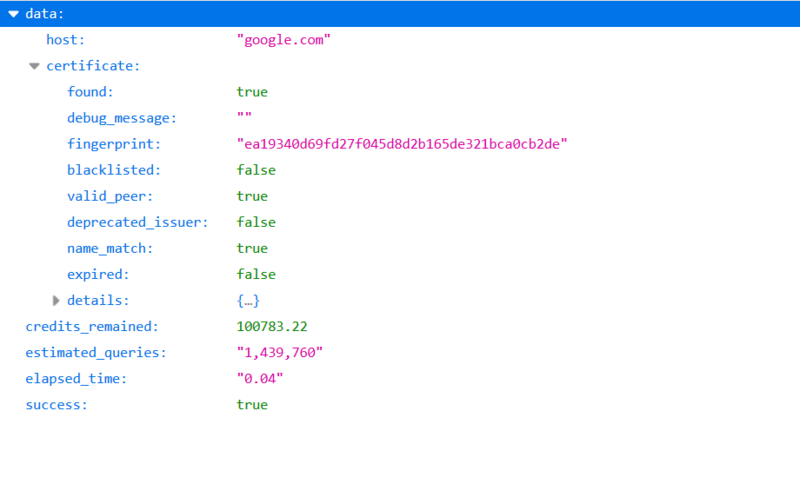 Symantec), if the domain match with alternative names, if the certificate is expired and how many days are left, and if the certificate is valid. 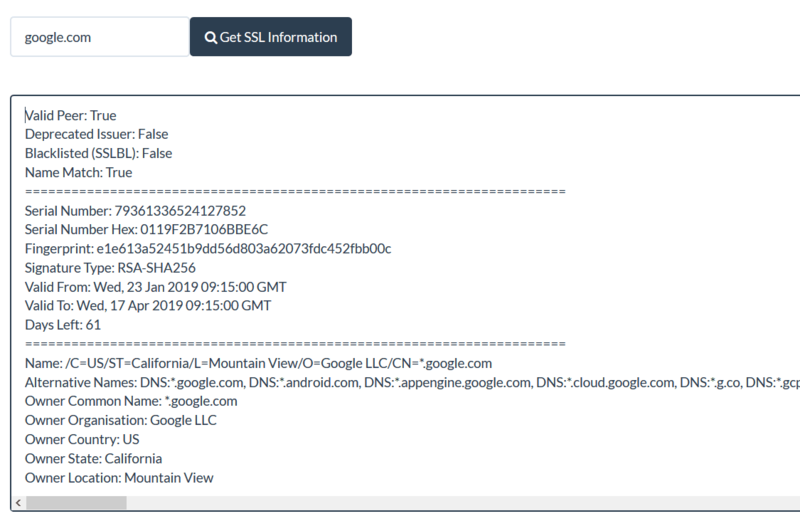 On your Dashboard we have included a simple web interface for SSL Info API that you can use to quickly get the SSL certificate details by entering the website address in a web form.